Especially for small series of injection molded parts the tool cost can be a critical factor. Still many of these small series applications have high demands on precision and quality, therefore the mould should still be of high quality. To overcome the burden of a high tool cost, Mitsubishi Chemical Advanced Materials has the availability of a range of master tools in which the forming inserts can be replaced, this in order to make a different part in the same mould housing. 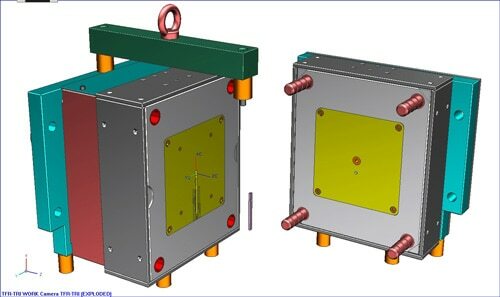 This not only reduces the tooling cost significantly but also the lead time to have the mould made. These master tools are now available in different sizes suitable for different sized parts. In many cases our customers only have to invest in a special manufactured insert for their part and for the use of the master tool. This opens the opportunity to manufacture small series at reduced tooling cost.